I need this reminder more often than I care to admit. I’m guessing you do too? Sure, I’ll take it on a good day when I’m winning at patience and understanding, but it carries even more weight and significance when I’m feeling like One Big Mom Fail. We doubt ourselves too quickly and judge ourselves too harshly. I know it seems so SIMPLE, these few words. And yes, it’s actually very simple. But also affirming and powerful and LIFE-GIVING. Like one giant reset button. Whatever’s got you stressed or convinced that you just aren’t cut out for motherhood, let it go. Relax your shoulders. Say a prayer. Try to laugh rather than cry. Reach out to a supportive girlfriend and siphon some of her excess positivity. Remember the truth: that you are enough today and every day. For real. It’s gonna be okay. Be kind to yourself. 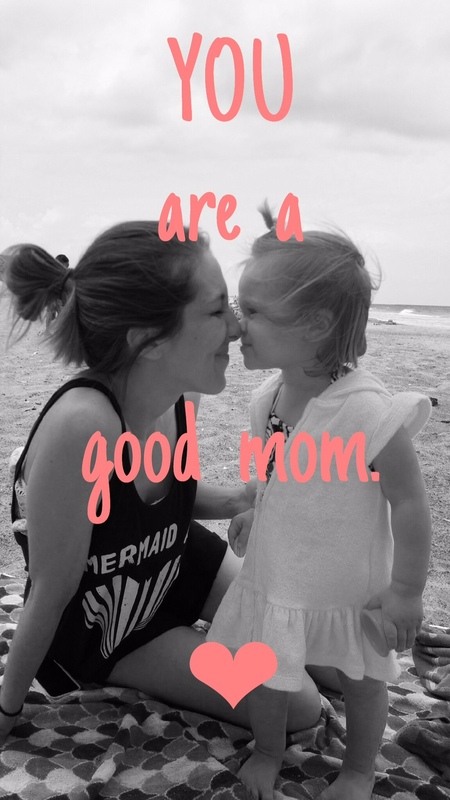 Let’s all find a mom to pass these affirming words on to over the next day or so. Maybe a stranger that you notice with tired eyes and a screaming kid in Target, or just a mom friend that you know could use a little pep talk. When mothers come alongside other mothers and simply say, I see you, and you’re doing great – that is the greatest gift and compliment we can give each other. Next Article from night owl to early bird.